What Creates Negativity in Children? How Parents Can Foster Positive Thinking In Children? If you have been feeling the same way, you are not alone. 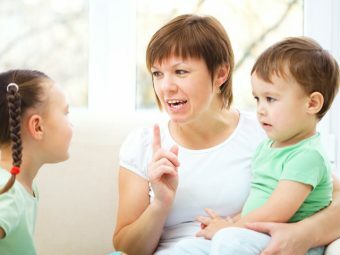 There are, in fact, many reasons that make it difficult for your child to develop a positive attitude. A disturbed atmosphere at home. Too much criticism from you. Negative approach that you follow. Diagnosis at an early stage and proper treatment can help to a great extent. Mental diagnosis can help find the reason behind negative attitude in a child. Mental illness affects behavioral pattern and children fail to develop a positive attitude. Parents must consider treating their child as early as possible to perfect the development disorders. You must be the role model for your child. Interpret things positively in your life. The earlier she starts developing a positive attitude, the better it will be. You will be making a mistake dismissing the negatives completely. For instance, if your child is recovering from a broken leg, you must acknowledge the pain. Say, “I understand it hurts baby, you will soon get well”. Then the negative situation can be reframed by saying, “if we think too much about the pain, it will only make our lives more miserable. So, let us think of the fun things we can do with the craft.” This will foster resilience in your child. 1. Positive thinking is a state of mind that looks at different situations constructively. 2. Children grasp a better understanding of positive development as they grow older. 3. Children above five years can grasp the principles of positive thinking better. 4. You must keep on motivating your child to look at things in a positive way. Be their role models. 5. Children have innate capabilities to grasp positive thinking because of the cognitive changes in the middle childhood. 6. You must acknowledge a negative situation or feeling. Thereafter, help your child to look at it constructively. 7. Encouraging your child to develop a positive attitude will help her focus on doing things she loves doing. This will help her attract more positive interactions and experiences. 8. 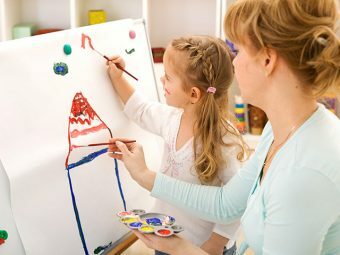 When you let your child do what she likes the most, she is less likely to attract fights, bullies, teasing and other frustrations. 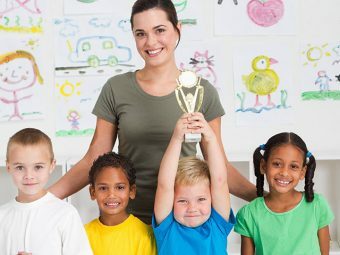 These qualities and traits will encourage your child to remember more about themselves. Help them find the positive qualities in them, rather than sticking to the areas bordered by the society or school. Amazing isn’t it, how your attitude in life shapes that of your child too? Do share your thoughts on how one can instill a positive thinking in children. 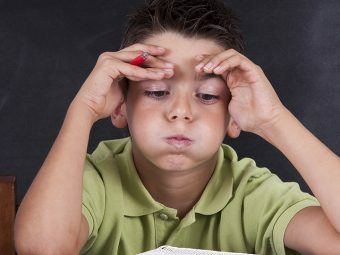 Why Does Short-term Memory Loss Occur in Children?